Indians and Indian Americans have long been known for their success across a wide range of fields in the United States. Amruta Houde and Niraj Antani are two young Indian Americans making a mark and paving the way for others to join them in their quest to serve and positively impact their community. Learn more about what drives these impressive individuals to serve their communities. Volunteering comes second nature to Amruta Houde, a young Indian American pursuing her graduate studies at Columbia University in New York. At a young age, Houde, alongside her family, spent countless volunteer hours with organizations such as Sewa International and The Bhutanese Empowerment Project. While working closely with refugee communities as well as young adolescent girls in rural areas, Houde recognized the importance of information sharing, especially with regard to public health issues. Born and raised in Atlanta, Georgia, Houde has been a volunteer with various community organizations, including Sewa International, since she was in high school. She earned her Bachelor of Science in Psychology from Georgia Tech and Master of Science in Psychology from Boston University. During a gap year after earning her Master’s, Houde volunteered with Sewa International in India where she worked with local NGO partners in rural communities to share health information. Her experience during this time inspired her to consider a career in public health, and she is now pursuing her Master of Science in Public Health from Columbia University. In speaking with Houde, her desire to be an advocate for the Indian American community as well as to influence public health policy globally are abundantly clear. Her enthusiasm and dedication are an inspiration for all who wish to be actively involved in bringing about change on all levels – local, national, and international. 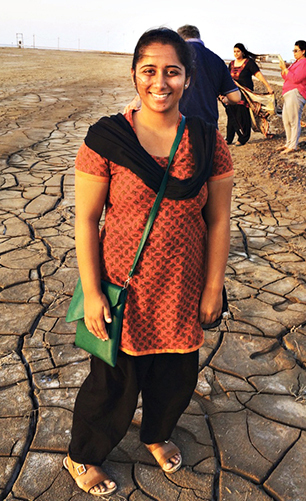 Learn more about how Amruta hopes to make an impact in the public health field in her post-graduate career. What are some of the public health challenges faced by the communities in which you worked in India? How do organizations like Sewa International make a difference on local and national levels? The public health challenges I observed in India were related to adolescent girl’s health, which naturally influences their development and access to opportunities. Millions of girls are not receiving comprehensive, accurate health education in school or at home. I spent time in Assam and Hyderabad where Seva Bharati, a partner NGO, conducts weekly sessions and camps for teenage girls. They have created a system where girls become “older sisters” and conduct confidence building activities and health education sessions. Another major concern is lack of adequate bathroom facilities for girls in schools which results in a significant school drop-out rate of female students and teachers. 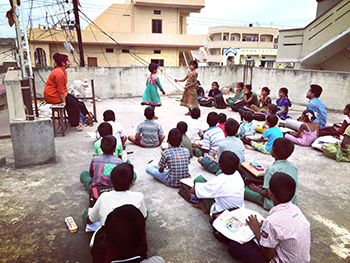 Seva Kirana, a partner NGO based in Bengaluru, is working to increase the female literacy rate by building clean toilets in schools and slums. What are some challenges you faced while working with local NGOs in India? As I traveled around to various states in India, I noticed that many NGOs are doing similar work in their local areas. However, there is little to no communication or exchange of resources between these organizations. During my time visiting various organizations around the country, I was able to serve as the connection and share project ideas and health education materials. Strengthening the network of NGOs would allow volunteers to learn the best practices from each other. How has your experience as a first-generation Indian American shaped the way you approach your work? Most of my previous visits to India involved visiting relatives, shopping, and visiting famous landmarks. Experiencing India outside of the tourist context allowed me to truly understand my roots. Understanding the culture of a community is vital to serve. In the U.S., it is important for our community to have representation in various spheres, from healthcare to education to government. 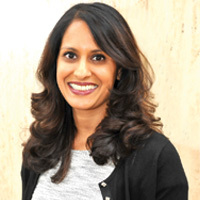 As a public health professional, I aim to serve as a voice and advocate for the Indian-American community. A year-long study abroad or gap year spent volunteering can be eye-opening and influential in many ways. How did your gap year shape your decisions? Why would you recommend college students/recent graduates consider a gap year? The most common reactions after telling someone you are taking a gap year are “Won’t this set you back in your career plan?” and “Wow, that’s so cool!” I completed my Master’s in Psychology two weeks before I left for India with plans of returning and doing my Ph.D. in Clinical Psychology. All the projects I worked on in India happened to be related to public health. If I hadn’t taken this gap year, I may have never realized that public health was my true passion. As for the second reaction, yes, it is an extremely exciting time! But there is another side to it as I saw the reality of the world around me and my true self. Where do you see yourself in the next five years? What type of work would you like do once you graduate? After completing my Master’s, I hope to continue in the field of global mental health. Mental health is a topic treated with caution and often avoidance. Through public health policy and programs in the community, I hope to increase awareness about mental health conditions, increase access to mental health resources, and in turn, decrease stigma. Who has played a crucial role in influencing the events of your life? How so? As the years go by, I realize more and more that my parents played the most crucial role in shaping who I am today. I observed my parents juggle their careers, family life, and community service throughout my life. More often than not, serving others became the priority. They always reminded me that it was my duty to step outside of my bubble and use the time, resources, and knowledge that I have to selflessly serve all those around me. Increasingly today, younger generations in the South Asian community are choosing “non-traditional” careers. What words of wisdom do you have for those, particularly young women, who aspire to pursue their interests and embrace an entrepreneurial spirit? There are many points where we have to decide to take a chance on doing something new or not. Take your time to make a decision and evaluate all the possibilities. But once you’ve made a decision, go all in. Do not doubt what you’ve done. If you continue to doubt yourself, you can never be completely committed to your decision. Sometimes things may not go the way that you’ve planned, but this is not failure. You’ve simply gained something out of the decision that you weren’t expecting. Each experience is a learning experience, it’s in our hands to reflect upon this and develop. All photographs provided by Amruta Houde. Article appears in February 2017 issue of Desh-Videsh magazine.